We are professional Oakville painting contractors, dedicated to 100% customer satisfaction. When our customers see the difference that working with professional painting contractors has made in the look of their home or business, they tell their friends, family and neighbours. That explains why our greatest source of new customers is from word of mouth. 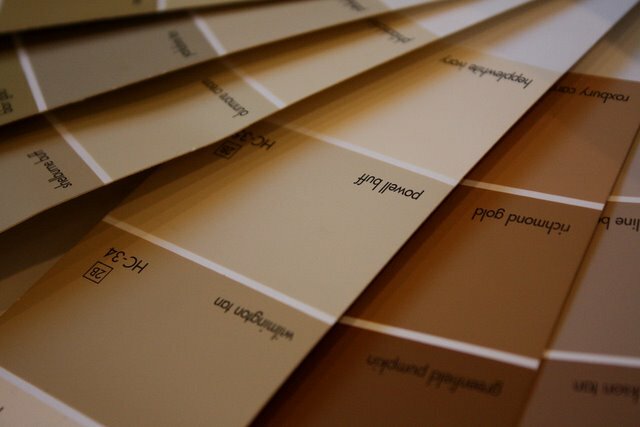 We are painting contractors in Oakville that have a single minded focus, and that’s making our customer happy. The happier and satisfied our customers are the more successful we have become. I just wanted to thank you and your team for the superb job you did painting the basement woodwork. It is no longer the eye sore it was, and looks like it will last well. It has really freshened the look of the room. As usual, the quality of your team’s work is the best, as well as being very attentive to detail. As an artist, I have a keen eye for this! I also appreciate your friendliness: guess that is part of the Newfoundland package, as we notice how much more approachable and welcoming people from that province are, especially compared with this area. I don’t know how one could easily leave that. I would not hesitate to recommend you if the opportunity comes, and you may use me as a reference if you wish. I’ll swear that the stairwell carpet is in better condition than before you painted, so obviously painstakingly, around it. Don’t know how you did that. Please pass my ‘thanks’ on to your crew. Congratulations on a job well done. We really liked your confidence when you explained how the job will be executed. Then you walked your talk. For us to paint the exterior of our house now (March 27) was really important so we could put the house on the market April 1. You were the only one that knew about and used this low temperature paint. The painters that worked with you were professional and very polite. If you need a recommendation you can count on us. We will contact you to paint our next house. this e-mail is to create awareness and recommend the painting services of Bullard Brothers Painting. Recently we had our house painted and not only did they pay attention to detail but made minimal mess in the house, even though there was a lot of sanding involved in our particular situation. After Carl and his team were finished we had a small problem with a area in our kitchen that showed some bubbling of the paint. We were unable to asses the cause of the problem but we called Carl and without any hesitation he was here the next day to patch up and fix the area at no extra charge. We would extremely recommend their services to anyone. I’ve not had the good quality that our current painter, Bullard Brothers, has given us. * Sanding the joints of the 1″ x 6″ boards, both where they meet other boards and the joints of the small triangular pieces. The result is a more uniform appearance of the trim. * Filling all the joints with LePage outdoor wood filler… generating a smoother “face” across the trim boards. * Priming with Benjamin Moore exterior primer, which he tints so that the colour is closer to the colour of the final enamel coat… generating a better final coat colour. * After all this prep work, he and his crew of four apply the finish coat. I’ve been on site while this work was being done, and the degree of close supervision Karl Bullard gives his crew stands out… in comparison to other painters I’ve had. Bottom line: he gets better quality out of his crew.